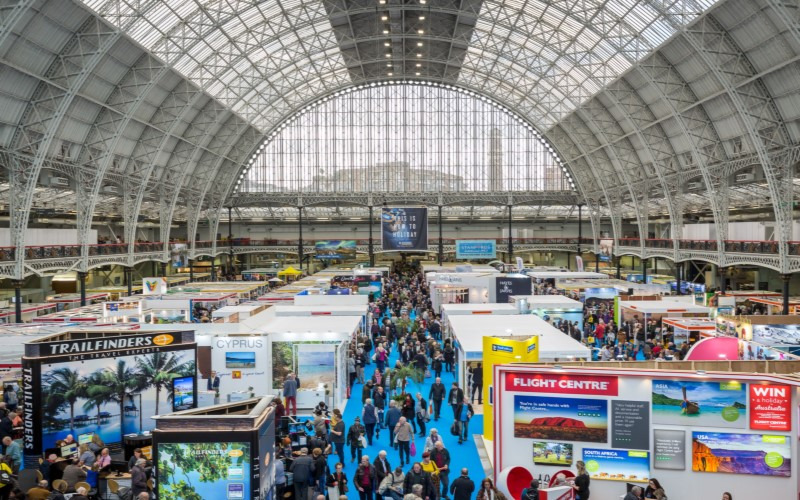 WIN a pair of tickets to The Destinations: Holiday and Travel Show, the UK's leading and longest-running travel exhibition. Celebrating its 26th year in London and its eighth year in Manchester in 2019, the show will be returning to Olympia London from 31 January - 3 February 2019 and Manchester EventCity from 17-20 January 2019 for its biggest event to date with a host of new exhibitors, experiences and expert speakers. From relaxing beach breaks to activity holidays, fly-drive to cruise, foodie experiences to wildlife, and its first ever dedicated authentic travel section 'Destinations Discovery' in London, it is the UK's essential event to gain travel inspiration for 2019. Welcoming over 600 brands in London and 170 in Manchester, with over 70 global tourist boards exhibiting at EventCity, Manchester and Olympia London, an array of travel experts from leading tour operators and travel companies will be on hand to provide in-depth knowledge and expert advice. Visitors can also enjoy photography masterclasses, expert talks in the Meet the Experts Theatres, MASTA Travel Health Clinic sessions, free food & drink tastings, and show-only exclusive travel offers. The London show will see the return of 'Stanfords Travel Writers Festival' - a programme of inspirational and entertaining talks from explorers, adventurers, historians, novelists, TV personalities and travel writers. Celebrity authors at the 2019 event will include Levison Wood, Kate Humble and Sir Don McCullin. The 'Food & Travel Stage' will return to Manchester to bring together expert chefs, explorers and TV personalities to share their stories and inspire visitors to get outside and discover more. Visitors will also learn how to prepare and cook camp side meals, international delicacies and enjoy exotic cultural displays and performances to inspire their next holiday adventures. Celebrity speakers at the Manchester show include: adventurer and journalist Pip Stewart, trained chef and keen caravaner Monisha Rajesh and Ordnance Survey GetOutside Champions Anna Hughes, Matthew Kettlewell and Emma Brennand. For more information please visit the Destinations: The Holiday and Travel Show website.